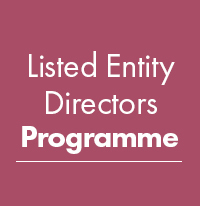 This is an important module that is the first in the Listed Entity Director (LED) series which guides participants on the general compliance requirements faced by companies and their boards. It sets out the personal obligations of directors and provides clarity on how compliance and governance requirements apply to the individual director and the board collectively. Highlight directors’ legal and regulatory duties and responsibilities in Singapore. Explain the continuing obligations applicable to listed companies in Singapore, from the board’s and individual director’s perspectives.